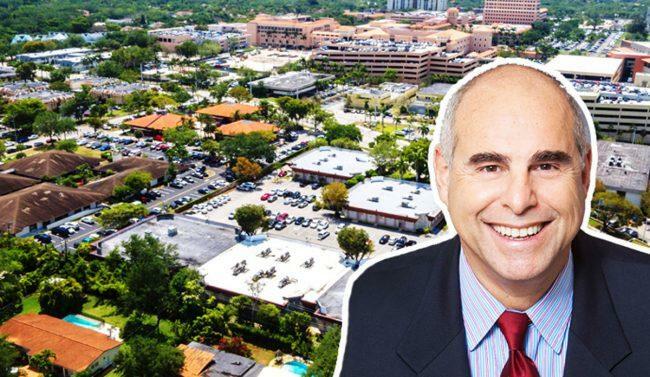 A company affiliated with Baptist Health South Florida just paid $11.3 million for a medical office property directly across from the hospital. Baptist Health Enterprises bought the 43,000-square-foot Plaza Galloway at 9055 Southwest 87th Avenue for $263 per square foot. Plaza Galloway sold the five-building property, which is managed by Joanne Mitchell. Plaza Galloway initially bought the property for $2.5 million in 1999, records show. Baptist Health South Florida is led by Brian Keeley and operates 10 hospitals, along with a network of more than 50 outpatient facilities. The non-profit hospital company has been aggressive in acquiring real estate in South Florida in recent years. Baptist Health did not immediately respond to a request for comment. Paul Silverstein of RE/MAX Advance Realty’s Commercial Division represented the seller in the transaction. The property sits on 2.93 acres and was built in 1973. The project is one of the last remaining redevelopment opportunities near the hospital complex, according to a press release. Baptist Health is also under contract to pay $41.5 million for the development site of the Collection Residences in Coral Gables, court documents show. Baptist Health has been expanding throughout South Florida in recent years. It recently opened a four-story, 60,000-square-foot outpatient facility at Crescent Heights’ mixed-use development at 709 Alton Road in Miami Beach.